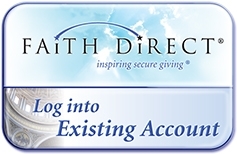 Our Parish participates in Faith Direct and donations can safely be made electronically through this online giving. 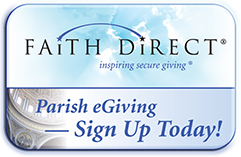 Simply click on the parish giving button to sign up. Are you a returning user? Click on the existing accounts icon. To make contributions to the capital campaign view the page titled "capital campaign"
UNT and TWU have 36,000 and 12,000 students, respectively, for a total of 48,000 students, along with a total of 10,500 employees and 2,500 faculty members. We now have a campus minister for UNT and another for TWU. With many additions we have an abundance of activities every day for the students, we see constant growth, and we are having a real impact on the universities. With many volunteers and organizations we fed over 3,000 FREE meals to our students this past academic year! St. John Paul II Parish, which serves the students of the University of North Texas and Texas Woman&apos;s University, is embarking on the single largest project ever in the history of the Ft.Worth Diocese by building a church oriented toward university students. This vision will become a reality with the generous donations made possible by you. Our parish enriches and challenges college students to grow through fellowship, commitment and the Catholic faith. As part of our parish, we hold various retreats, prayer groups and Faith Formation Programs. It is important that we keep this parish growing and continue bringing the Catholic Faith on the campuses of UNT and TWU.